In other words, cultural pluralists believe you should not only be permitted to speak in your native tongue, but you should do it with pride, and resist anyone or anything that tells you otherwise. 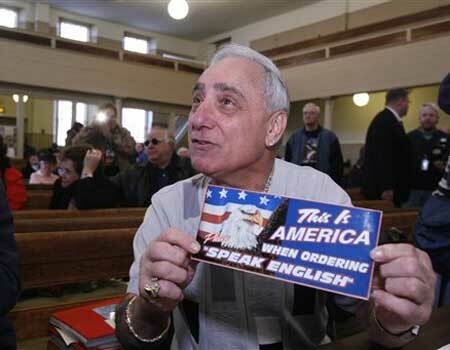 Today, the debate between cultural pluralism and assimilation isn’t limited to chessesteak shops in South Philly. America’s schools are jumping into the fray as well. Educational policy makers and those interested in school reform are battling over ideas and curriculum in regards to multicultural education. And like the heated debate over Vento’s sign, each camp has a set agenda and interprets research very differently. Educational assimilationists believe that learning characteristics are universal across cultures, and that the socialization practices of the dominant culture enhances learning, while the socialization styles of ethnic groups hold their members back from succeeding in school. “Emphasis should be on the shared culture within the nation-state because all citizens must learn to participate in a civic culture that requires universal skills and competencies,” Banks writes of the beliefs of assimilationists. Both the cultural pluralist and assimilationist concepts have their drawbacks. The pluralist theory is lacking because it often fails to prepare students to cope adequately with the real world beyond their ethnic or cultural community. And because learning characteristics are not always universalistic, but to some extent, cultural-specific, the assimilationist theory is not completely foolproof. 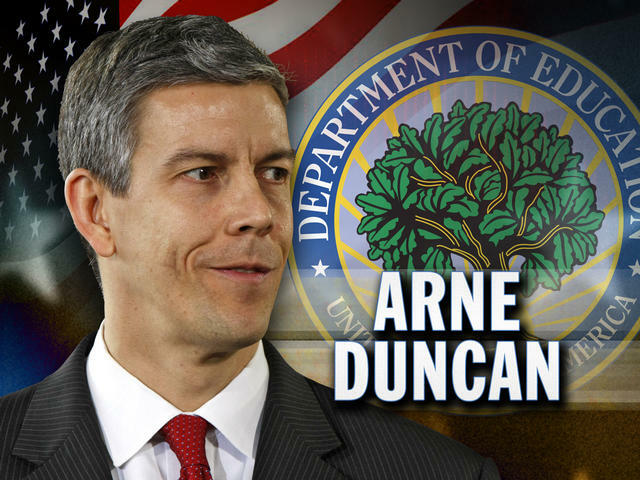 Secretary of Education Arne Duncan was recently caught telling politically motivated lies about Texas education. Last week on Bloomberg Television’s “Political Capital With Al Hunt,” Secretary Duncan criticized Gov. Rick Perry’s education record and attacked the performance of Texas schools by saying that “Texas has really struggled. I feel very badly for the children there.” Duncan went on to say that Texas had the lowest high school graduation rate in the country, and that there have been massive increases in class size and cutbacks in funding. Duncan later reiterated his attacks on C-SPAN’s Newsmakers program, insisting Texas public schools had low standards and a high dropout rate. The only problem with Duncan’s facts, however, is that they weren’t facts at all. Texas’ graduation rate has actually increased since Rick Perry took office. In 2009, Texas ranked 7th in a 26 state comparison of the only states reporting four-year on-time graduation rates. That year Texas’ on-time graduation rate was 80.6%. 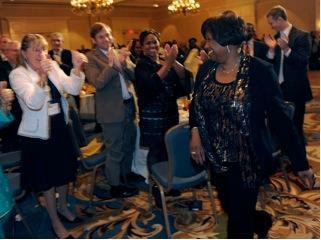 The Texas on-time graduation rate for 2010 is now 84.3%; the national average is 71.6%. The idea that Texas class sizes have ballooned is false. In fact, class sizes have dropped since 2000-01, the year Gov. Perry took over office; the state ranks 37th out of the 50 states in education funding. Texas schools also have very respectable standards. According to Education Week’s Quality Counts report, Texas is ranked 13th out of 50 states. Quality Counts also gave Texas an “A” in “Standards, Assessment and Accountability,” and an “A” in college and career readiness. Duncan’s off-the-mark statements even confused Andrew Rotherham, Time Magazine’s education columnist. Rotherham couldn’t understand how Duncan could criticize Texas schools when they not only perform at the national average, but fair far better than Chicago’s public schools—the city where Duncan was the former superintendent. 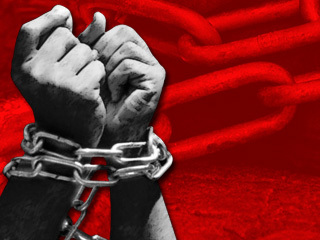 Rotherham questioned Duncan about this issue, but Secretary Duncan was at a loss for answers. “I would have to look at the details,” Duncan told Rotherham. It’s quite concerning that the US Secretary of Education doesn’t know the basic facts about his own former school district. Even more troubling is how he mangled the information on Texas’ public schools. Whether this was politically motivated or done through sheer ignorance, Duncan’s ability to lead America’s children into the 21st century has clearly come into question. Yesterday, CNN.com linked my Chalk & Talk article, “Arlene Ackerman Voted America’s Top Urban Superintendent, Ten Months Ago Today” under their Local Headlines section on their Politics page. Thanks to CNN for listening! I wrote something similar in the piece the Huff Post linked, although I provided a stronger criticism of Secretary Duncan, bringing to light the fact that the Obama administration is manipulating the regulations behind NCLB to push its own questionable reform agenda. Thanks to The Huffington Post for listening. After city schools’ chief Arlene Ackerman told the media outside of school district headquarters today that she isn’t going anywhere, activist Sacaree Rhodes burned a copy of the Philadelphia Inquirer. “After Ackerman spoke, activist Sacaree Rhodes burned a copy of the Philadelphia Inquirer, saying the paper’s coverage of Ackerman has been racist. This is the second time in a week an Ackerman supporter has threatened violence. One week ago, school police officer Pamela Williams, who is under investigation by the Philadelphia School District for leading recent rallies in support of Ackerman while on disability, publically voiced her displeasure that the district is planning to cut eight of its proposed 11 Promise Academies. Due out this September from Rowman & Littlefield! Click here to preorder a copy and support shared responsibility in education! 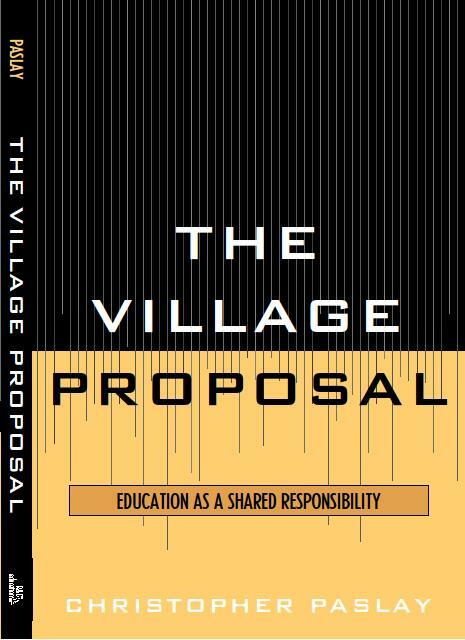 The Village Proposal is based on the African proverb that it takes a village to raise a child. Part education commentary, part memoir, the book analyzes the theme of shared responsibility in public schools and evaluates the importance of sound teacher instruction; the effectiveness of America’s teacher colleges; the need for strong school leaders and supports; the need for strong parental and community involvement; the effectiveness of multiculturalism and social justice in closing the achievement gap; the relevancy of education policy; the impact of private business and politics on schools; and how the media and technology are influencing education. The activist and security officer threatens to use students to turn city into ‘another London’ if district doesn’t fund special schools. 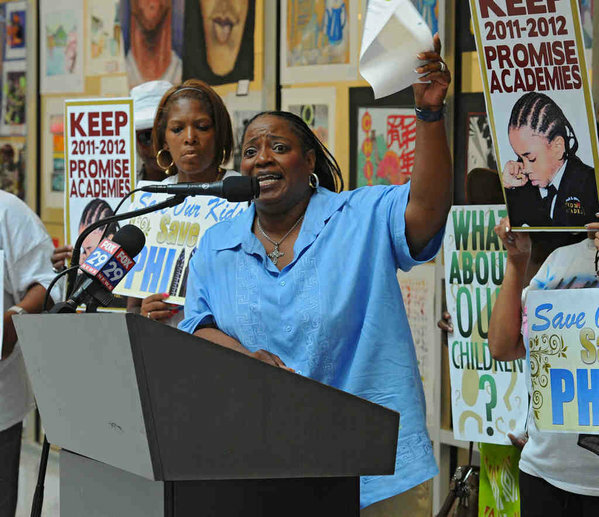 School police officer Pamela Williams, who is under investigation by the Philadelphia School District for leading recent rallies in support of Superintendent Arlene Ackerman while on disability, publically voiced her displeasure that the district is planning to cut eight of its proposed 11 “Promise Academies,” city schools that have been reconstituted and provided with extra money and resources.